We’re ready for an awesome New Year! I was inspired by Patience Brewster, an artist and illustrator of books, greeting cards, and a designer of Christmas ornaments and gifts, to share my favorite holiday memory and holiday photo. Unfortunately, I can’t choose just one. 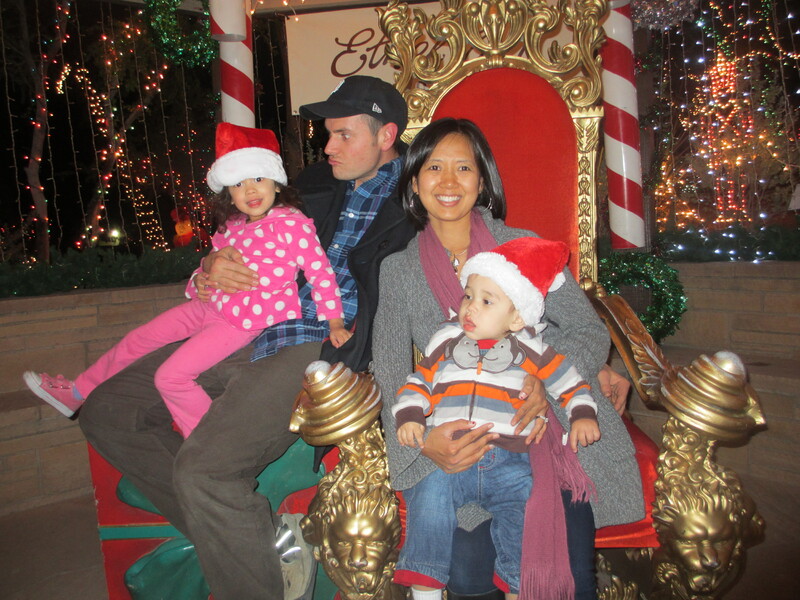 So below is a photo from each holiday season since I’ve become a mom. 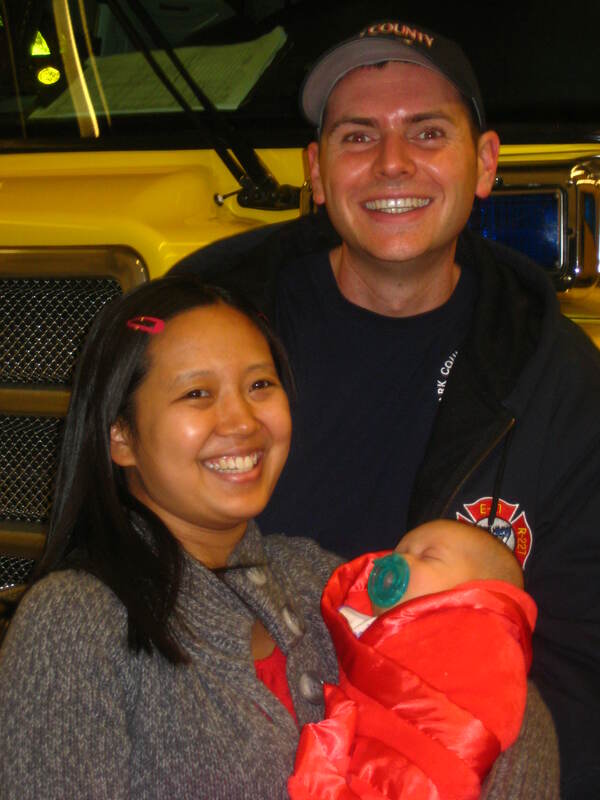 Our first Christmas as a family was spent with the crew of station 27 and all of their families for a festive meal. Marley was just a few weeks old then. Most of the day was spent feeding her in daddy’s bunk. This was how my husband spent many of his holidays growing up since his dad is also a fire fighter. In 2010, we hosted Christmas in our home. Just like how my family always did it when I was younger. Aunts, uncles, cousins, all under one roof. I believe we had over 20 people waking up in our house on Christmas morning that year. 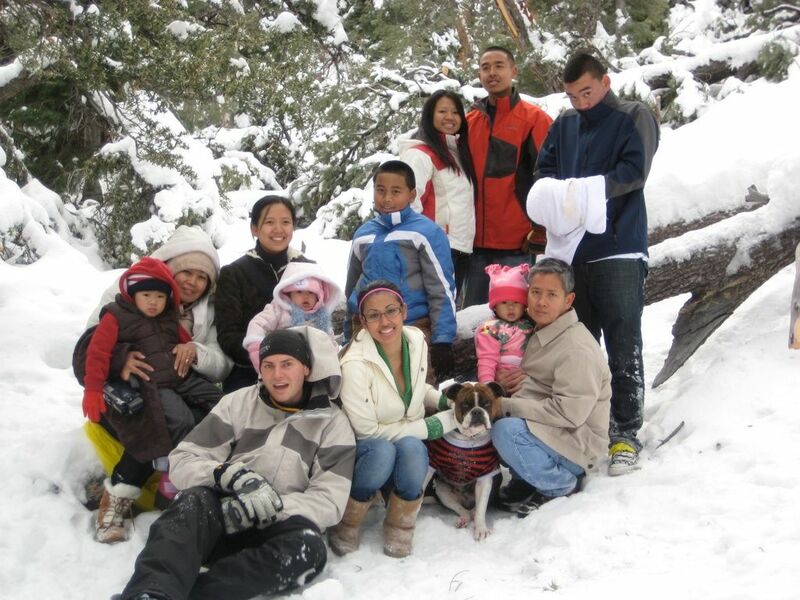 This photo was taken the day after Christmas up at Mount Charleston where we spent the day sledding and playing in the snow. 2011 was a complete blur from October through the New Year. Our family grew from 3 to 4. I was now figuring out a schedule with a brand new baby and a toddler. It seemed as if our house was full of guests al least every other week. 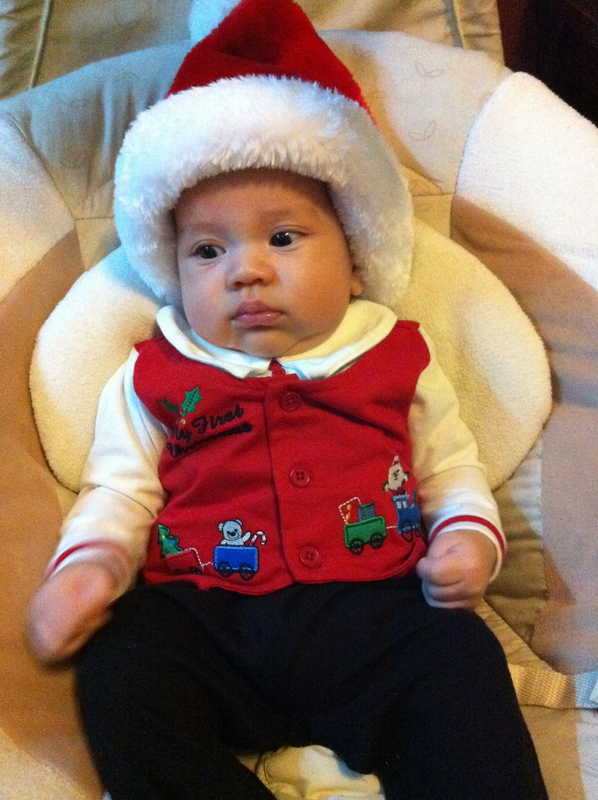 Not complaining, but like I said, that year was definitely a blur of holiday memories all bundled up into this perfect photo of our little Santa Baby. We counted our blessings and were more thankful than ever in 2012. Hubby had been in abad car accident on his way home from work in early October. The realization of “what could have been” glued our family even tighter together. Each year just keeps topping the last. I dub 2013 to be the best one yet. 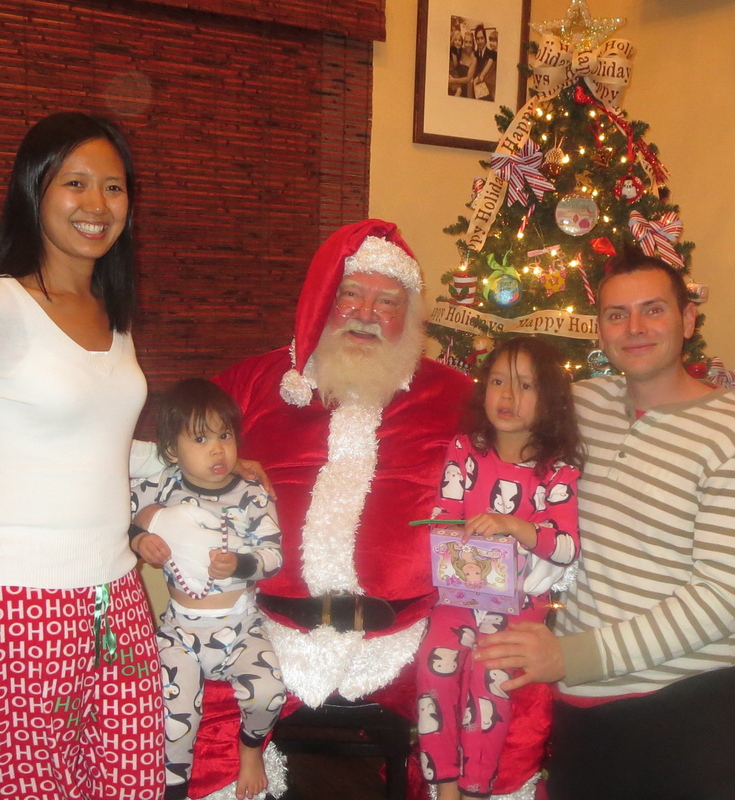 It was a never ending time full of family, friends, food, cookies, laughter, food, more food, and even a pajama party with Santa. 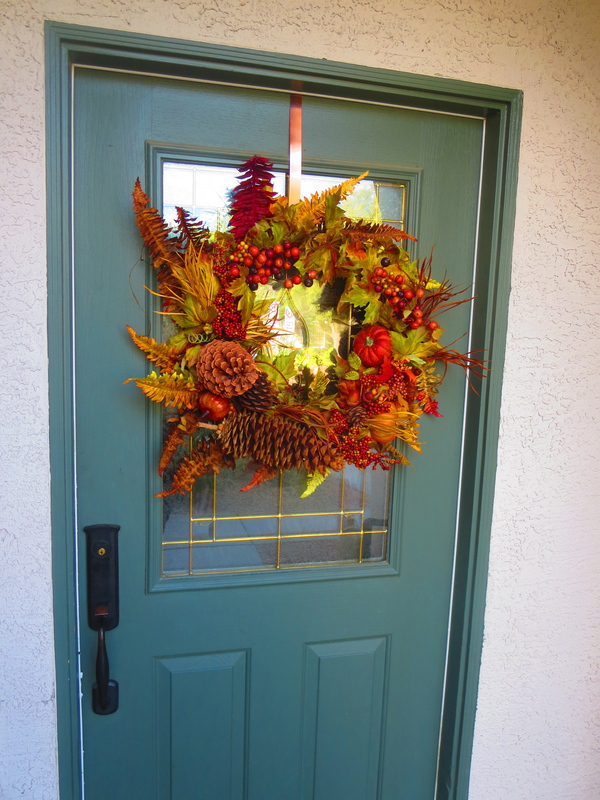 Last year we made our family wreath with pinecones collected from my father in law’s cabin. We painted ornaments for our yearly additions. We traveled to California to celebrate an early Thanks Giving with both our families, and had an intimate quiet Thanks Giving here in our own home. And Christmas was spent slowly opening up presents all day long while the food and treats never ended. 2014 we’re ready! Bring on the holidays! Posted on November 20, 2014 by MamaRupp	• This entry was posted in Uncategorized and tagged anticipate, cheer, Christmas, holidays, memories, New Year, photos, Thanks Giving. Bookmark the permalink.